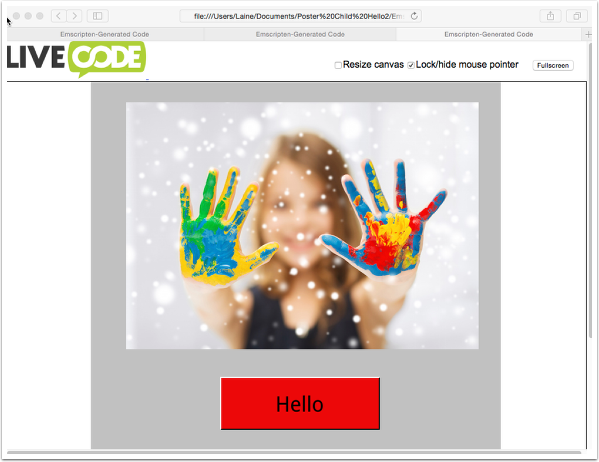 From version 8.0 and onwards, LiveCode now allows you to build HTML5 apps that will run in a webpage. 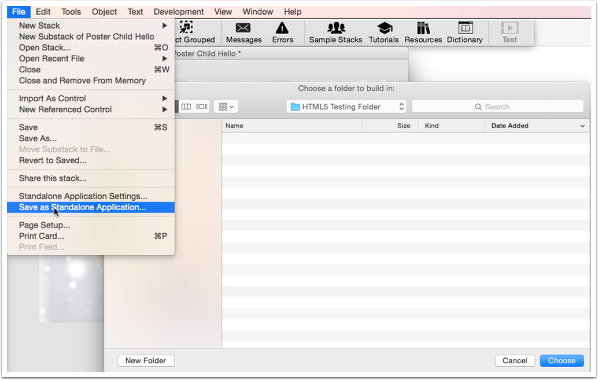 To do this you simply build your app in LiveCode like any other app, then when you are ready to deploy, you choose "Build for HTML5" in the standalone builder. 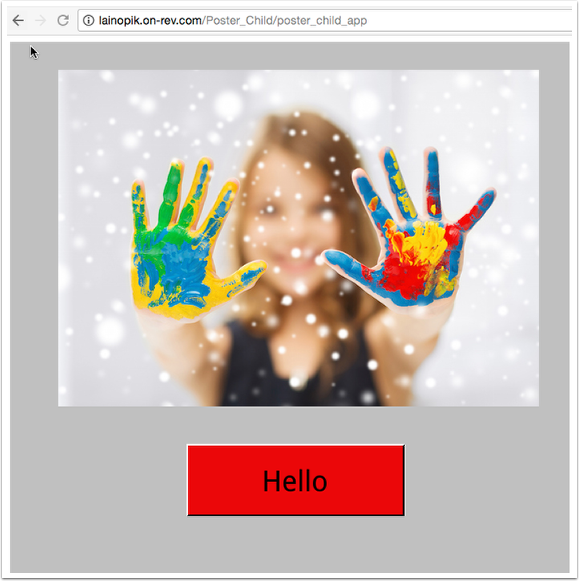 This lesson steps you through the build process to get your app onto the web. To do this you either need to use LiveCode Community, or have a purchased license for LiveCode HTML5. Open the Standalone builder from the File menu. 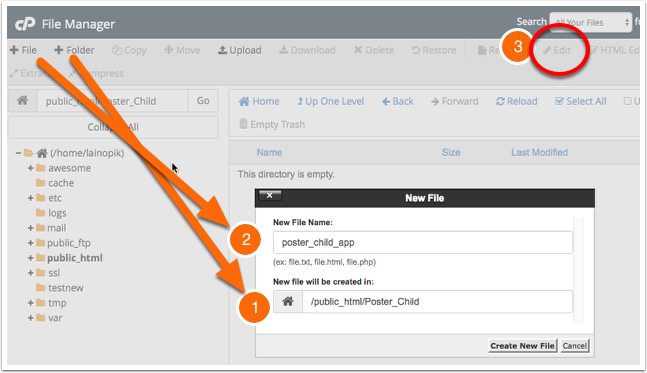 Select Save as Standalone Application from the File menu, and choose a location to save the files to. A dialog will appear asking you to save the application. Click Save. You should see some dialogs informing you of the progress of the build. If you only have a license for HTML5, you may see a message telling you that the app was not built for Mac, Windows or Linux. standalone.zip which contains your app, any resources it needs and a virtual file structure for running in the browser. So far so good, but your app is still running from your desktop, and it has that LiveCode logo in it and some other things you probably don't want to see. Lets fix that. 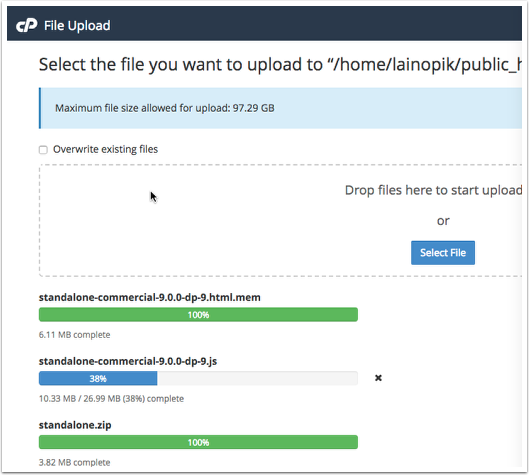 For the next step you need a hosting account to upload your app to - I'm using our own LiveCode Hosting site, but you can upload to any regular hosting account. First, I'm going to create a new file on my server (you can of course also create an html file on your computer using any regular web editing tool). 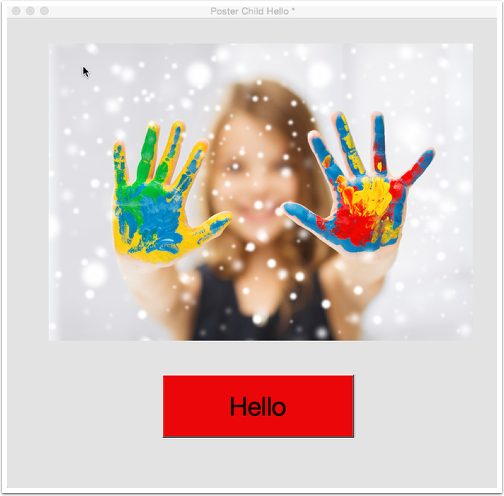 I created a new folder called Poster_Child. 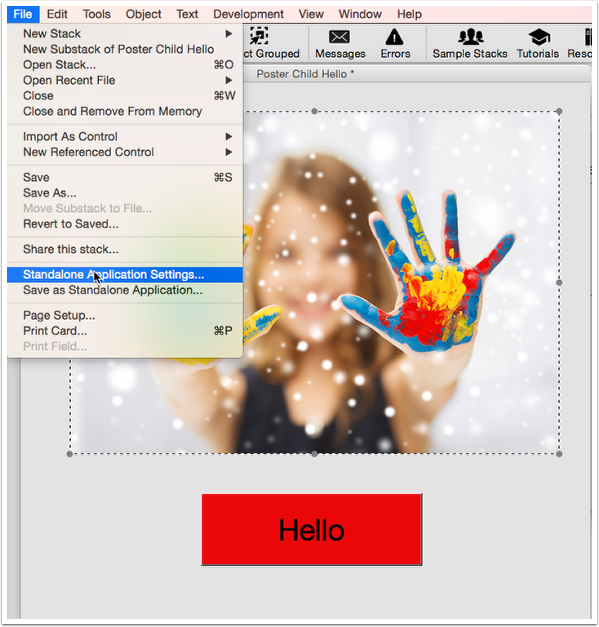 Then I created a file named poster_child_app. Next I clicked edit to edit the file online. Note, you must match the name of the .js file, highlighted in red, to the name of the engine you have created when you built your standalone. I'm using Indy 9.0.0 dp 9, so the name of the engine is standalone-commercial-9.0.0-dp-9.js. If you are using LiveCode Community, it will be named "standalone-community". This filename is the only part of the code you need to edit. Now I'm going to upload the three files that my app needs to work, into the same folder as the file I've just created. And if you click the button, you should get a dialog that says "Hello". Congratulations, you've uploaded your first LiveCode HTML5 app. Prev: How do I play sound files in HTML5? 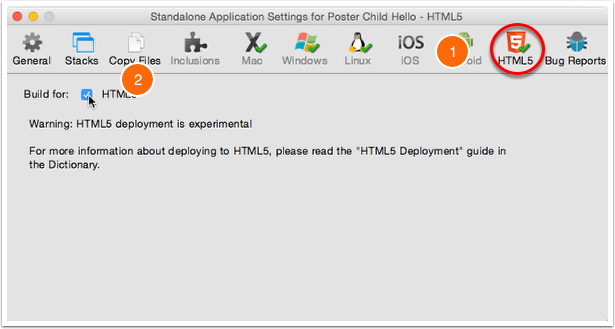 I followed your instructions up till .."
Do you have to save the 'poster_child_app' as an '.html'? 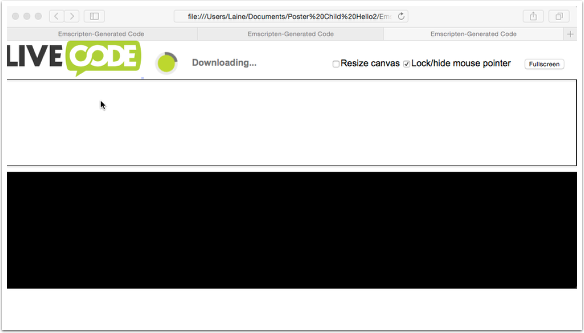 In the example, the file is not named to end in .html. However, if you name it ending in .html, then it will work, you just look for that url. So it could have been "http://lainopik.on-rev.com/Poster_Child/poster_child_app.html". You just need to look for the same filename that you put on your server. Thanks for your reply and sorry about the long cut and paste. I still dont understand how to find my uri. I think if you are still confused, it might be better if you drop an email to hosting support and get some guidance on this. I did drop an email to hosting support. Im not so confused as to the structure of the domain, as to what is "yoursubdomain" and how to figure that out. As I read in sooo many other posts in livecode, especially the forums, "It works!!" I appreciate it and want to publicly thank you!